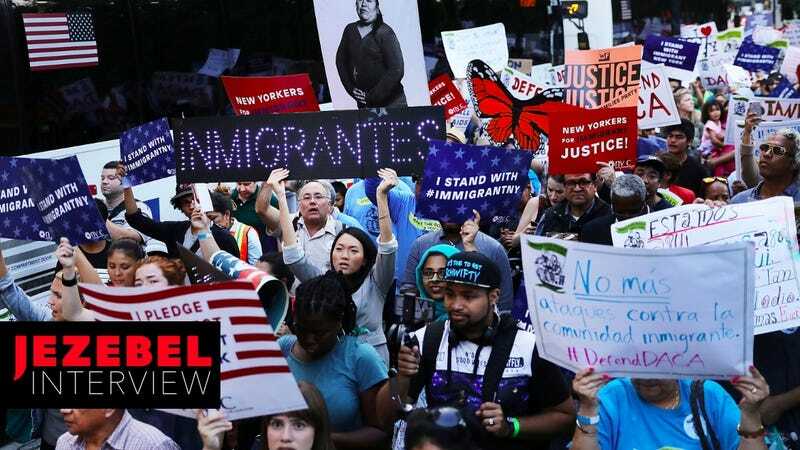 Last Tuesday, Attorney General Jeff Sessions announced that the United States would “wind down” the Deferred Action for Childhood Arrivals (DACA) program, which allows people who immigrated to the United States as children temporary legal status in the only country they’ve ever known. Currently, around 790,000 people are part of the DACA program. On this week’s episode of Big Time Dicks (now released on Tuesdays), we spoke with Leezia Dhalla, an immigration reform activist and DACA recipient who moved to the US when she was six years old, and didn’t learn she was undocumented until college. Dhalla’s experience highlights the confusion a hastily made decision like ending the DACA program brings, both on the individual level but also for the nation at large. During her junior year at Northwestern University, she says she received a notice to appear in immigration court from the Department of Homeland Security—due to her family’s lawyer filing paperwork late, and a series of other events out of her control, she had fallen out of status. Dhalla also stressed that the six months Congress was given to come up with a replacement is woefully lacking, and will result in many recipients falling out of status. The full interview, which is well worth listening to, is available on the podcast. Dhalla also pointed us to her organization’s website for more information on the DREAM Act and how to help DACA recipients.